Usually we think of trucks as being large, lumbering creatures which don’t really move quickly at all. They’re made to haul and tow big loads, plus transport us through difficult conditions. 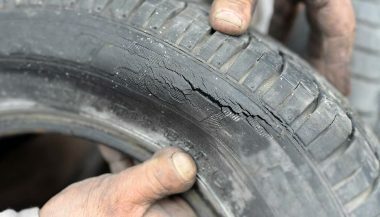 While in general most tire shredding is done by performance cars and not trucks, there are exceptions. Sometimes, automakers and tuners decide to bless us with a pickup full of surprises. Following is a list of these special fast trucks. Certainly, you can throw stuff in the bed of each one. But you can also kill all the tires in riotous fashion, making for twice the fun. These days, the first thing on everyone’s lips when you mention performance pickup trucks is the Raptor. We can debate if Ford’s go-fast and off-road-capable version of the F-150 is named after a bird or a dinosaur, but it doesn’t really matter. The point is the thing’s a riot to drive on the road. And even more amazing to push to the limit on dirt roads. 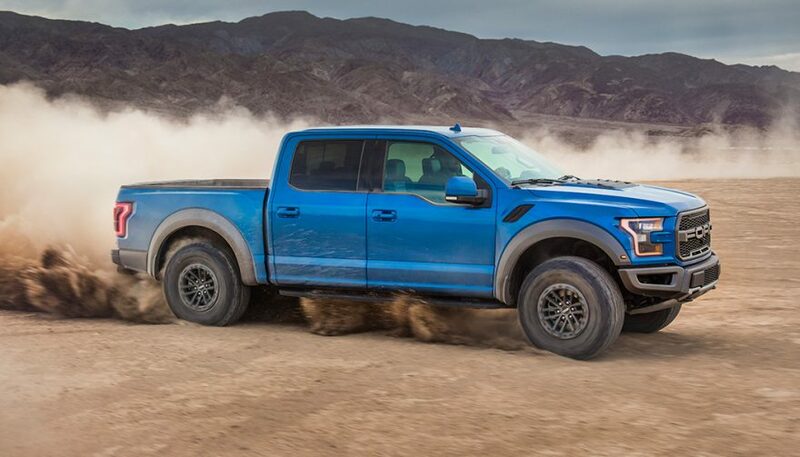 Quite a few people panicked when Ford revealed it was dumping the big, brawling V-8 used in the first-generation Raptor in favor of a 3.5-liter EcoBoost V-6. Despite the scepticism, this move proved to be smart. 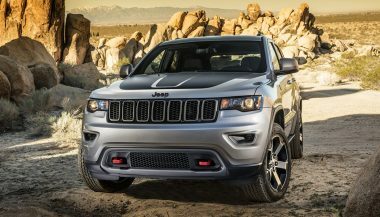 Not only is the smaller engine more powerful, with a peak 450 horsepower and 510 lb.-ft. of torque, it also lowers the truck’s curb weight by a sizable amount. Oh, and the 10-speed automatic transmission helps keep engine RPMs in the optimal range for performance. The result is a 0-60 mph dash of a mere 5.2 seconds. That’s quick, but believe it or not, there are even faster pickup trucks. No list of fast trucks would be complete without the SRT-10. 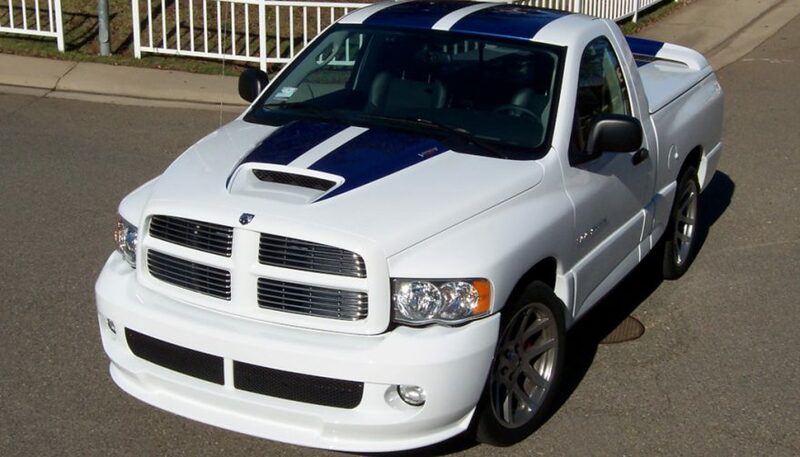 After all, it’s a Ram with a Viper 8.3-liter V-10 engine under the hood. That combination doesn’t make any sense and yet is completely awesome. Just like the rear spoiler which blocks you from hauling a lot of things in this pickup. While you might not be throwing plywood or rocks in the bed, this truck will certainly haul you from one point to another quickly. It does 0-60 in 4.9 seconds and even pulls a 13.2-second quarter mile. Of course, 500 horsepower and 525 lb.-ft. of torque on tap is key in achieving this kind of speed. 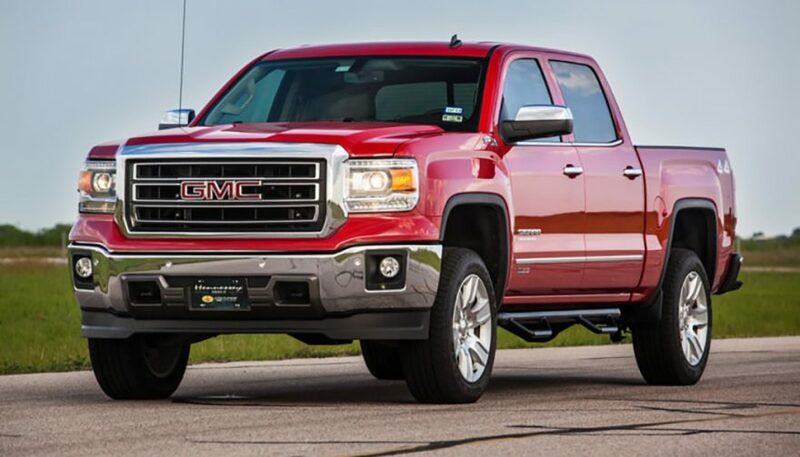 If you have a 2014 to 2018 GMC Sierra with the 6.2-liter V-8 engine, you can have Texas-based Hennessey Performance crank up the performance to a whole new level. The shop straps a 2.9-liter supercharger to the engine, providing 10 psi of boost. While this isn’t a cheap upgrade, the results are simply astounding. Hennessey says the engine pushes 805 horsepower and 812 lb.-ft. of torque. That’s a healthy amount of power, and enough to rocket the truck from 0-60 in a cold 3.9 seconds. The fact something so heavy and slab-sided can move so quickly is almost unbelievable. Just as impressive is the 12.3-second quarter mile time. Making the GMC Sierra a legitimate hot rod. You should know this same upgrade is available for the 2014 to 2018 Chevrolet Silverados with the same 6.2-liter V-8 engine. Since the two trucks are mechanically so similar, the results are identical. Right before the Ram line became its own brand, Chrysler decided to make a few fast versions of the pickup truck. 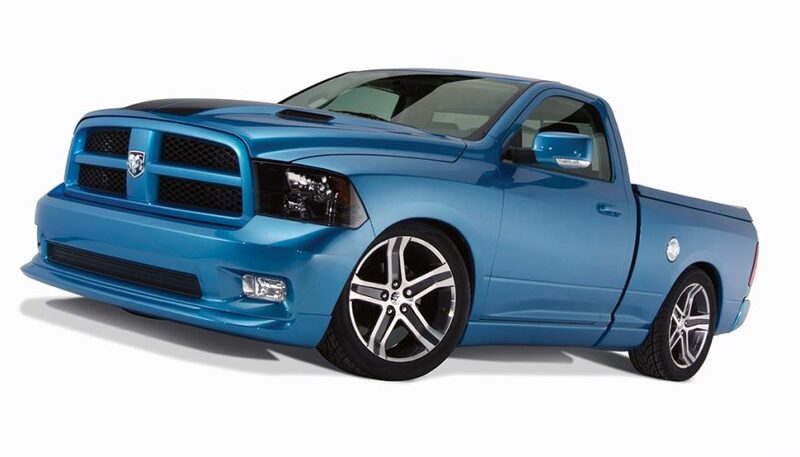 In 2009 the Ram R/T was one of the quickest ways to haul sod from one point to another, thanks to the 5.7-liter Hemi V-8 crammed under the hood. It pulsed 390 horsepower and 407 lb.-ft. of torque to the tires, helping to truly burn rubber with ease. 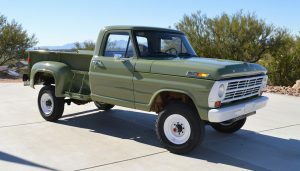 Dodge offered these fast trucks with a five-speed automatic transmission, which might be a questionable choice. Still, the Ram R/T could do 0-60 in 5.7 seconds and tear up the quarter mile in 14.4 seconds, making it an impressive machine. 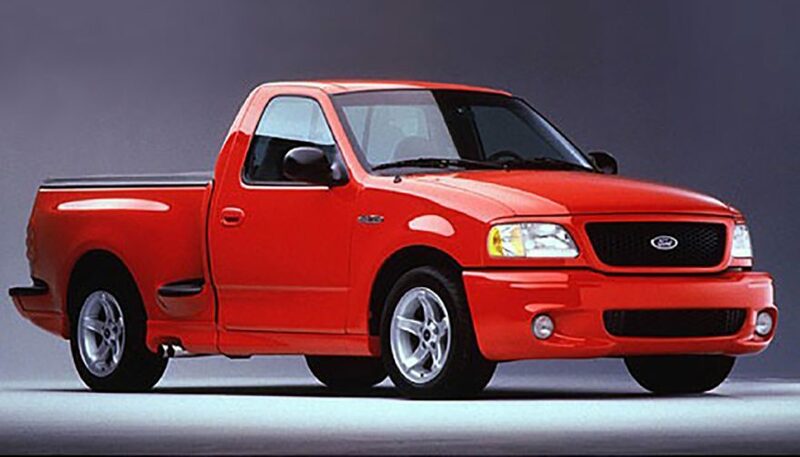 Another truck which must be included when talking about fast trucks is the SVT Lightning. One had a fairly big role in the first Fast and Furious movie, although casual watchers didn’t even realize it made an appearance. It was a nice tribute to a genuinely quick pickup truck. It’s the second-generation Lightnings which are truly quick. especially starting with the 2001 model year when Ford dialled up peak output from 360 horsepower to 380 horsepower, while torque sat at 450 lb.-ft. That’s impressive, considering the Lightning used the same 5.4-liter V-8 engine as regular versions of the Ford F-150, plus a hard-hitting supercharger for that extra uplift. Ford engineers borrowed the transmission from the diesel-powered F-350 to handle all that power, channelling it to the rear wheels. This setup was good for a 0-60 time of just 5.1 seconds. 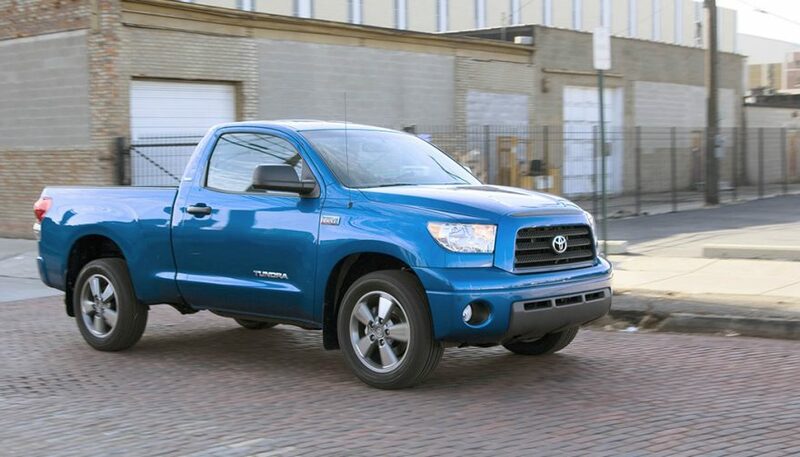 For the 2008 model year, Toyota decided to do something truly special for the Tundra line. 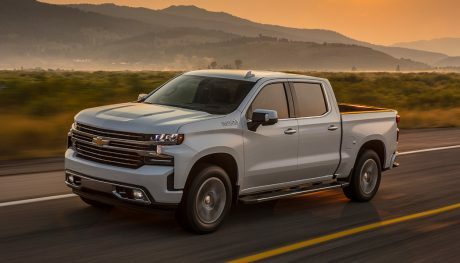 With a healthy dose of TRD performance parts, including a large supercharger, the pickup most people saw as decidedly tame suddenly became a speed demon. Even better, since the parts were all installed by a dealer, the truck’s warranty wasn’t voided by these modifications. The result was a 0-60 time of 4.4 seconds, which even by today’s standards is quick. Of course, considering the setup was good to push out 504 horsepower and 550 lb.-ft. of torque, it’s no wonder the Tundra could scoot faster than many performance cars back in 2008 and putting it on our fast trucks list. Texas Tuner Hennessey Performance appears on this list again, this time by tweaking the Ford Raptor. 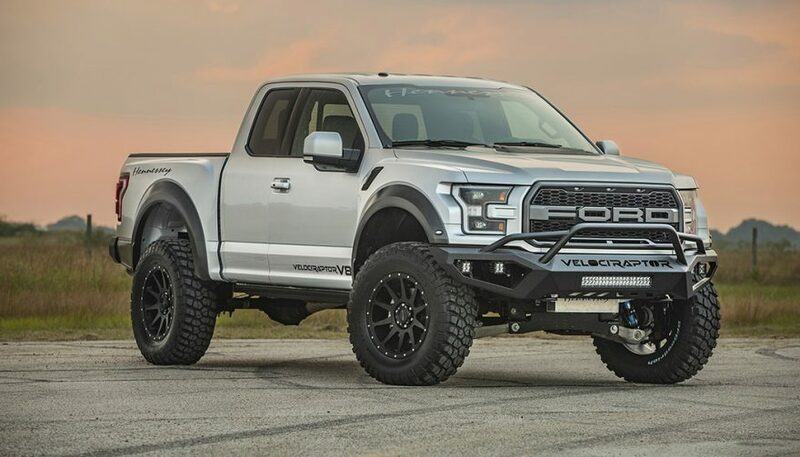 The brand rolled into SEMA this year, unveiling a V-8 option for the current Raptor, swapping out the EcoBoost V-6 for a supercharged 5.0-liter V-8. That means a boost from 450 horsepower to 758 horsepower, which is a huge uplift. Hennessey still uses the 10-speed automatic transmission with the beefier engine. Of course, you need a new Raptor first, then you’ll have to drop more money on the upgrade. When all is said and done, you’ll have one of the fast trucks which can dash from 0-60 in 4.1 seconds, making it quite quick off the line. If you're interested in knowing how to make a truck louder, you have a lot of options to get that volume and rumble you crave.